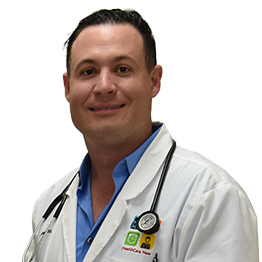 Dr. John Hoover is a Doctor of Medicine who practices primary care in Miami, Florida. A 2003 graduate of the American University of the Caribbean School of Medicine, Dr. Hoover completed his residency in Family Medicine at Tallahassee Memorial Healthcare. He was promoted to Chief resident during his training at Tallahassee memorial hospital in 2005. Dr. Hoover is currently an active member of the American Academy of Family Physicians and is board-certified in Family Medicine by the American Board of Family Medicine. He has extensive experience and training in primary care, pediatrics, gynecology, office procedures and emergency medicine. He is also an active member of the medical staff at Baptist Hospital of Miami, meaning when any of his patients require hospitalization, he personally treats them throughout their hospital stay. Dr. Hoover is fluent in both English and Spanish. His patients rate him highly, and he received multiple patient awards consecutively over many years including: Patient Choice Award, Compassionate Doctor Recognition, and On-Time Doctor. Dr. Hoover views each patient as part of the HealthCare Now family and works with each and every patient together as a team in their healthcare treatments and decisions.